Thinking about selling your home in Florissant, MO? The services provided by your local Real Estate expert is vital in selling your property at the best price and in a reasonable amount of time. 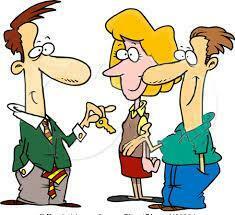 Your Realtor will guide you through the entire process of selling your property from listing to sale. Listing with a broker assures your property gets maximum exposure and greatly reduces the stress that can arise from the difficult task of selling a property. Please don't hesitate to contact Steve with your questions and to discuss your individual needs. Recent Home Sales - What are homes selling for in your neighborhood? Go to this page and in just a few seconds, you can see a list of recent home sales in your area. Code Inspection Information - Homes in St Louis County and Municipalities such as Ballwin, Hazelwood and Florissant, require a Code Compliance Inspection before a new owner can occupy their new home. Read for details. What Are Typical Closing Costs paid by the Seller? - See a list of typical Seller Closing Costs paid. 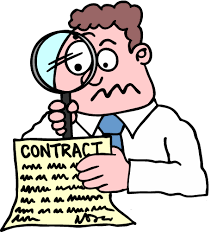 What Inspections Does the Seller and Buyer Pay For? - This is a frequently asked question. Should I Offer a Home Warranty? - Read for advice and to see coverage offered by American Home Shield. What is a Radon Gas Inspection? - About 1 out of 4 buyers will order a Radon Gas Inspection of your home. Lateral Sewer Programs - About half of buyers will do a Lateral Sewer Inspection. A video is taken of your sewer line to find blockage or breaks. Replacement is expensive, but most all areas of St Louis City and County provide coverage to residents. See the amount of coverage in your Municipality. Listings Services provided by Steve Studnicki - If you're seeking the right Realtor to assist with a sale, review Steve's marketing services. See what sets him apart from the competition. Homes Sold by Steve Studnicki - Sellers are often curious about a Realtor's resent sale activity. Here is a list... Sales Since 2015 Solds over $200,000 $100,000 to $200,000 Under $100,000 Sales Prior 2007 Days on the Market? 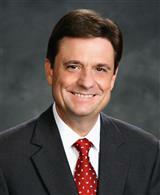 Schedule a Listing Appointment - You've read about Steve's background and experience and are ready for the first step. Set up an interview and get a price opinion. There is no charge nor obligation to list your home. What is CBGundaker's Commission Rate? - Please review this page for details regarding our commission. Utility Termination Information - Provides tips and phone numbers for terminating gas, water, electric, phone and other services when vacating your property. 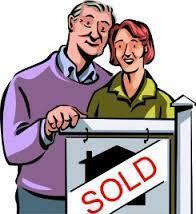 Below are additional articles to help you with the selling process.